We are concentrated on providing you best products and customer service. Please contact with us with no hesitation if you need any help from us, we will try our best to help you solve it as soon as possible. 12 months worry-free product guarantee and 100% good quality guarantee for every purchase. 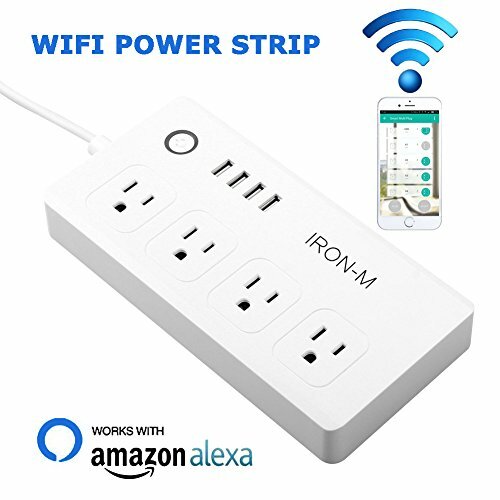 (b)The power strip work with Alexa support individually control mode, You need name every outlet first and them you tell alexa. For example, name one socket Iron, then tell Alexa to turn on Iron, it will turn on just that socket. You can name each socket diffenently.